Thomas Cook CEO Peter Fankhauser has flown out to Egypt to meet with the country's prime minister, Mostafa Madbouly, following the deaths of Susan and John Cooper. The circumstances of the couple's death last week at the Steigenberger Aqua Magic Hotel in Hurghada, are still unclear. The operator confirmed: "Thomas Cook chief executive Peter Fankhauser has flown to Egypt to meet with the Egyptian prime minister, His Excellency Dr Mostafa Madbouly. "They will discuss the recent tragic deaths of Mr and Mrs Cooper in Hurghada and the ongoing investigation by the Egyptian authorities." Meanwhile, it has emerged a court case brought by a family who claimed they were taken ill while at the resort highlighted concerns over the hotel's record keeping. According to the Guardian, Newport County Court last month upheld a claim from the Valu family from South Wales, who said they had fallen ill after staying at the hotel in April 2016. The family was awarded £26,000. Lawyers acting on their behalf said Thomas Cook was negligent and 'provided hotel accommodation which was so unsafe that no reasonable holidaymaker would agree to go on holiday there'. The family had claimed they had been served raw, undercooked and stale food. The case went to trial after Thomas Cook denied responsibility. Pre-trial evidence included logs of food temperatures, which were scrutinised by handwriting experts, who questioned their reliability and accuracy. Lawyer Joanne Brine, a partner at JMW Solicitors, which brought the case, said: "The fact that we have brought concerns to Thomas Cook's attention about the accuracy and reliability of the Steigenberger Aqua Magic Hotel's record keeping should set off alarm bells for those investigating what the failings of the management team to safeguard the health of its guests may have been on this occasion. "I sincerely hope that a thorough investigation will make sure that the [Cooper] family get the answers they need to understand exactly what happened inside that hotel room and to ensure the safety of future holiday makers is prioritised." Following the deaths of the Coopers, Thomas Cook evacuated 300 guests and at least 40 people have claimed to have been struck down with food poisoning at the hotel. Earlier this week, Red Sea governor Ahmed Abdallah said Thomas Cook over-reacted in evacuating the hotel. 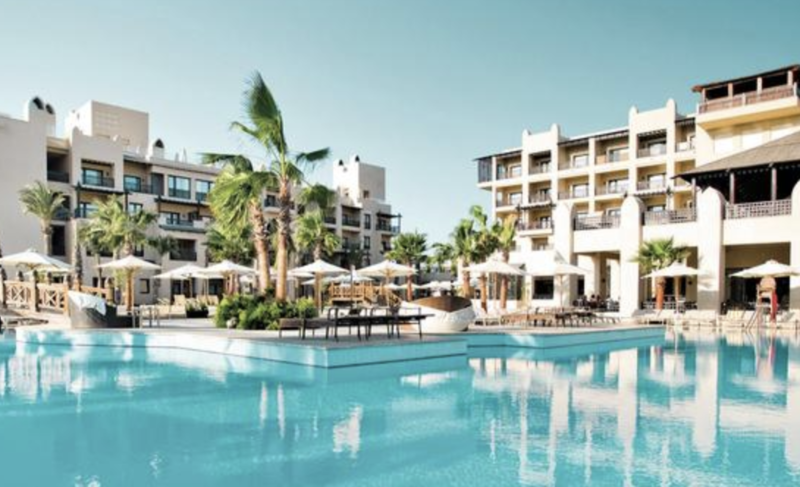 When asked for a statement on the Valu family, Thomas Cook said: "We audit all 3000 of our core hotels every year, and our quality teams regularly inspect our properties and provide support, guidance and training to help hotels improve. "We have removed 47 properties for health and safety reasons in the last year alone and a further 150 which did not meet our strict quality criteria. "We last audited the Steigenberger Aqua Magic in July 2018."